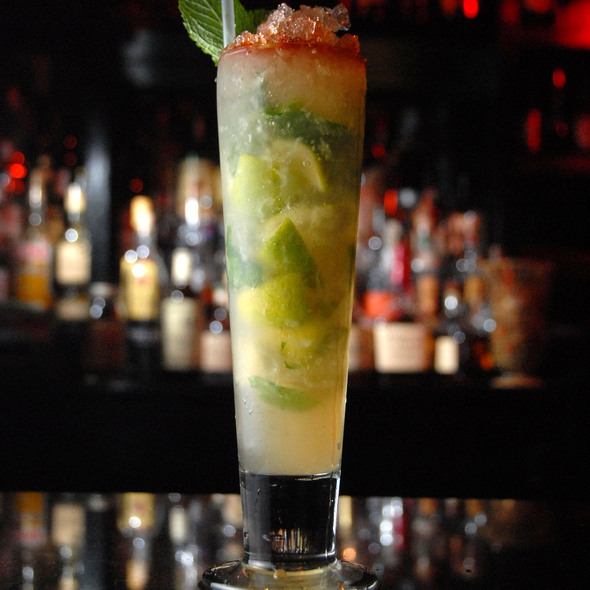 Inspired by European trained bartenders who opened clubs primarily in the Soho District and Greenwich Village areas of New York, Ciro’s is beverage-centric, using traditional and historic techniques of mixing cocktails from a bygone era; pre, post, and certainly evolving during the Prohibition period of our country. Guests must be 21 years of age. Cool place that you really have to know about to find. Excellent cocktails and food offers variety of options. 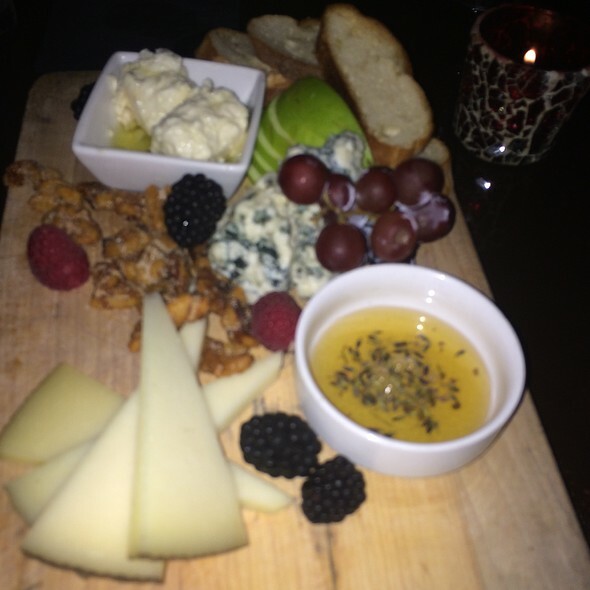 Ciro’s has excellent food and drinks at affordable prices. The next time I pass through Tampa, I will be eating there again. Not as advertised. Expected an authentic experience. Instead was greeted a hostess with an attitude and average food. Very odd atmosphere. By far the best meal/ experience we have ever had. Both of us were from out of town and heard of Ciros from Yelp's most romantic restaurant list. We have been to a few speakeasys in Milwaukee but this one takes the cake. Our server, Mikey was phenomenal and made us probably the best drinks we've ever had according to our taste preferences. We ordered the Black Truffle Popcorn, Chicken & Waffles, The Burger and to top it off the Milk and Cookies for Dessert. I can't speak for the other menu options but we both would order our meals over again. Thank you for such a wonderful experience we will be back as soon as possible. Phenomenal experience. While pricey, the experience is well worth it. The duck was the best I've ever had, extremely intimate dinning experience, and our waiter (Mike) had the perfect craft cocktail recommendations based off what we told him we liked. 10/10. We had a wonderful experience and it’s definitely an experience that everyone should have. Don’t go expecting a large sit down dinner. 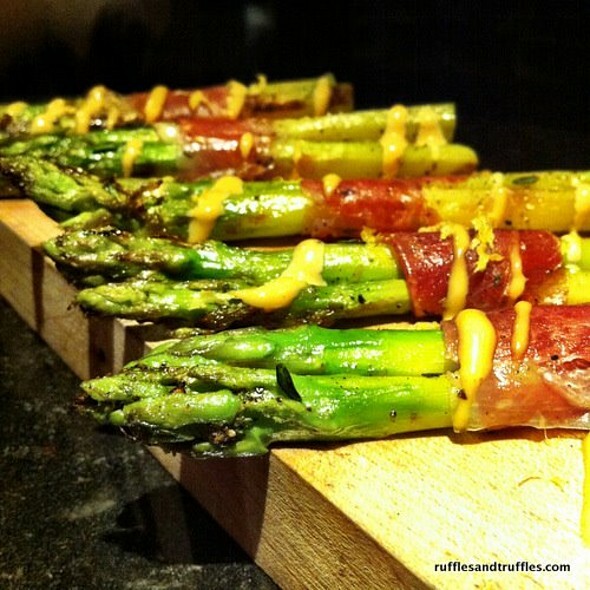 It’s more appetizer style meals and more about the environment and the extensive drink list. We would recommend this place as a fun night out. Our server Michael was very nice and took great care to come back and check on us throughout dinner. The bar is great and has a good selection of drinks and wine. The duck fried fries are different and tasty as was our dinner. Only drawback was the loud party across from us. Literally screaming and laughing. I thought we were supposed to be a little quiet to keep with the speakeasy atmosphere lol. The food was way overpriced for the quality. It was as if you paid $15 for a loaf of bread called something else. We left and went somewhere else to eat. Went for Valentine’s Day and the food was awful. Meat was chewy, desert was bland and our bill was $300. We don’t mind paying for good food but this was a complete rip off. For $300 we could have gone to Eddie V Charlies. Never again! Very great experience, superb food. Speakeasy entrance and ambiance was cool. Food was good but nothing unusual or outstanding. Menu was limited. The Drinks were very good, but the price high for The size. We sat in a booth (requested when I made the reservations) and it was cramped and uncomfortable. The three small telescoping tables were not big enough to hold our drinks and plates. Two of us had to put our plates on our laps. The booth next to us had more roomy seating. We could hear their entire conversation and overall too loud. Our waiter was very nice, but not efficient. We had to wait a while between drinks, ordering food, etc. It took about ten minutes from the time they brought the first persons food to the fourth in our party. Because there is a two hour time limit per booth, we didn’t even have time for dessert. I wish we had a better experience. We were disappointed after seeing such raving reviews. Wish I was told that you need to request a booth when you make a reservation. Don’t expect them to seat you in the main section without specifying when in the special request box regardless how far out you have your reservation. The restaurant was wonderful. 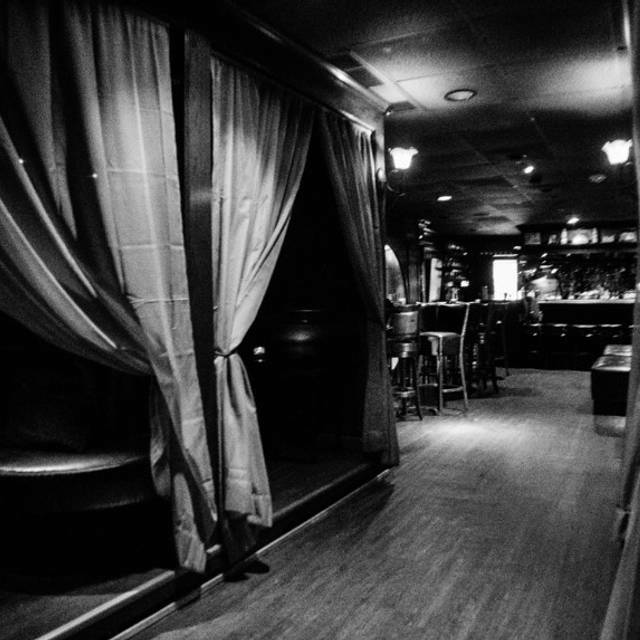 From the hidden doorway to the secluded booth for our dining area, the ambiance truly seemed like a prohibition era speakeasy. The house cocktails were delicious, and presented in a very lovely manor. The food was delectable. The seared salmon was crafted perfectly and the crab cakes were delightfully savory with the salted egg. 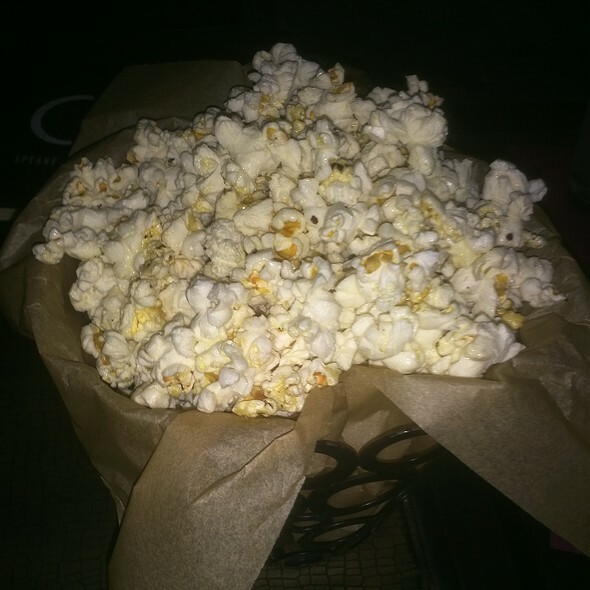 Also the truffle popcorn was the perfect light appetizer to go with our starting cocktails. The eclectic playlist was perfect for the mixing of the the old school culture with the neo-classical grooves of today’s soul. Brenda Terry runs a class operation. 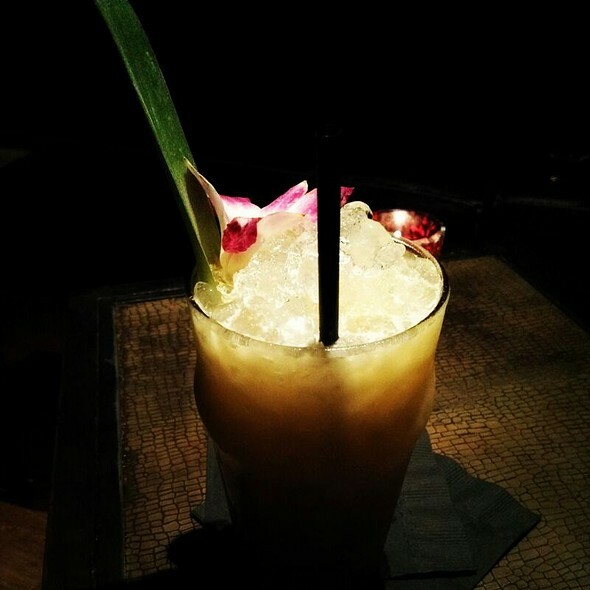 Creative and delicious cocktails, fantastic food and engaging and enjoyable service. Date-night must. I set this reservation for my brother and sis-n-law. They both has such a great time. They both said the food was great, drinks were delicious, atmosphere was perfect, and the server was very attentive and nice. My brother was celebrating his birthday and he loved it! Great atmosphere, music and food. Definitely recommend. I think that with how pricey it was that they should have people in there who k ow what there doing instead of me waiting on a can coke to come from the bar when I was sitting next to it. Had to keep telling the waitress that i needed a coke. My wife's crab cakes where good but the chicken not good. 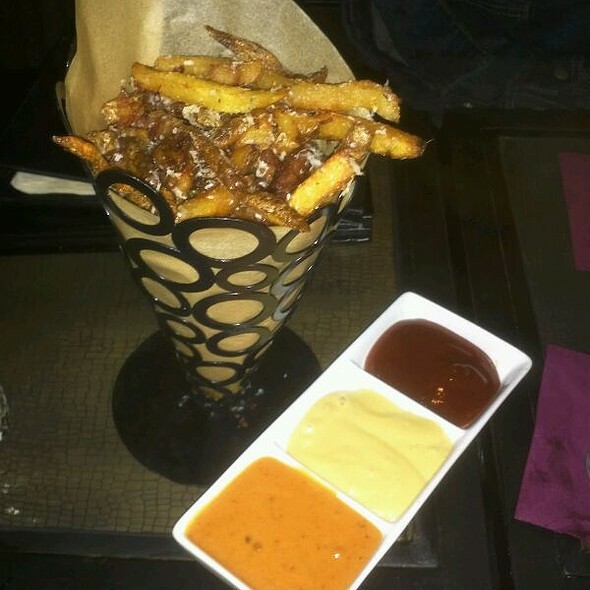 Duck fries on point really good. Very nice decrease place to sit back qn relax for hour or so have dome drinks. Amazing restaurant! Went for our anniversary and will def be back. Phil was our server and he was fantastic! A must go to if you're trying to impress your spouse. I love the ambiance as well as their delicious cocktails! The waitress seemed to rush us which was a turn off but aside from that we had a great experience. We will definitely be coming back! Great spot for a date. You get your own secluded booth with curtain for 2 people. Awesome cocktails. It was great, intimate celebration of my husband's Birth Day! He loves it !!! Went here for our 12th year anniversary. Atmosphere was very nice. Music selection could have been a little more calmer. Appetizers were awesome. My husband had the duck. He said it was perfect. I had the chicken and waffles. They were ok. Drinks were great. Our server was on top of everything...very knowledgeable and polite! Definitely going back again!! Absolutely loved it. My wife and I went here for my birthday and the whole vibe is amazing. The food was incredible as well. The only unfortunate part is that my wife and I weren't drinking because their drink menu looked amazing, but they turned a couple into a 'mocktail' for us so we got to partially participate on this side. Looking forward to going back. Server was really nice and attentive. Food was tasty. Drinks were crafty. However, the noise level has increased since I’ve last visited. Thought it was supposed to be a “speakeasy”. My bf and I could hardly hear each other. We were seated near the bar. Terrific find in Tampa. Phil and Austin were great to chat with about their cocktails and new spirits. Will definitely be back! Had a wonderful time! Loved the atmosphere and the drinks/food were all amazing. Will definitely be back! Highly recommended. I’ve eaten at restaurants in 13 different countries in Europe. Not including various restaurants in DC, FL, NJ, PA, MD, NC, VA, AZ, CO, GA, and WV. The breast of duck was scrumptious! I rate this place amongst the best! I love Ciro's! The food is always delicious and the staff is so friendly. The hostess gave us complimentary champagne because we had to wait for a party to leave when we arrived at our reserved time. The bar tender chatted with us while we waited at the bar and fixed great drinks. Service is very slow but once you get your drinks it’s worth the wait because they’re handcrafted. Wonderful place to check out. The place has a great ambiance and cozy feel. The bar area is very small and hard to move around in. The food was great and plentiful. The booths where dinner is served are small and very private. 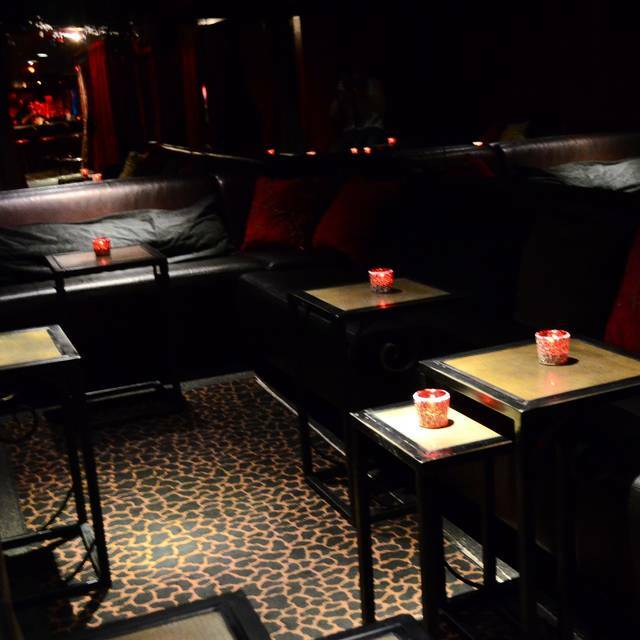 Great for an intimate time. Don't expect a normal table service. First time. Enjoyed the ambiance prohibition theme. Great waitress Aubrey very knowledgeable of the food drinks and menus.